The holidays are almost here. Wait… say what?! Yep – it’s true. They creep up every year and we find ourselves headed to the nearest shopping mall “one last time” (yeah, right) to pick up a last minute gift for the neighbor who just dropped off a yummy homemade gingerbread house for the family to enjoy. With the Fall season full of school activities, family gatherings, PTA meetings, work and daily routines, there’s just no time to procrastinate, especially when it comes to holiday shopping. 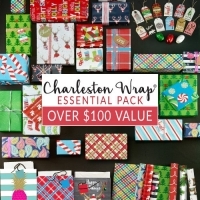 Thankfully, Charleston Wrap’s fundraiser offers a tremendous selection of gift ideas (over 1,500!) 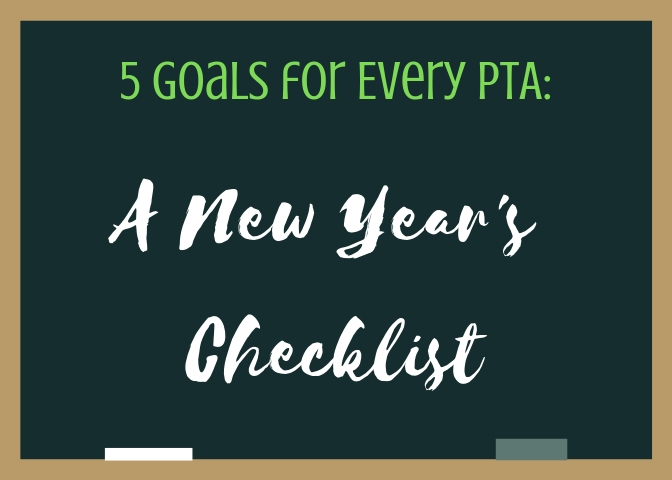 so you can check off your holiday gift list all while supporting the school’s goals, too. Have you placed your fundraising order yet? Need some inspiration in the gift-giving department? Check out the gift ideas below and you’ll be on your way to getting a jump start on your holiday shopping while supporting the school, too (now that’s what we call a rock-star parent!). For the Kitchen Cook. 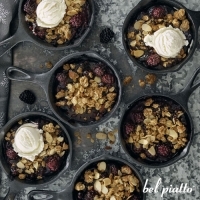 Every cook (young and old) needs Bel Piatto™. This new exclusive cookware brand is perfect for the family cook and even for beginners. 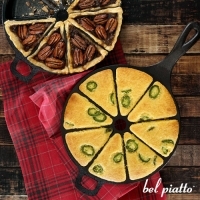 Whether it’s a gift for your college nephew, or perhaps Nana needs a new skillet to whip up her famous cornbread, our exclusive Bel Piatto™ brand is perfectly priced and you’re definitely going to get a big ole’ hug out of it. The Enameled Cast Iron Braiser (pictured here) is ideal for for searing, simmering, baking, and more! And the Mini Cast Iron Skillets are great for serving up your favorite dish right from the oven and straight to the table for a rustic look. 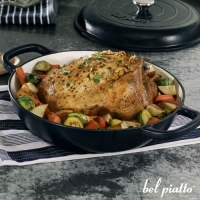 The Bel Piatto™ brand is sure to impress any cook. 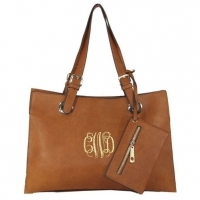 Charleston Bags are the perfect gift for the gal who has everything. These exclusive vegan leather bags are oh-so-soft and they are guaranteed to strike up a conversation. 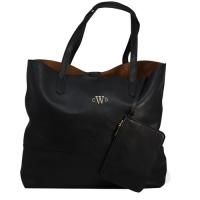 With monogrammed options, Charleston Bags are just too fabulous to pass up. Grab one for your sister-in-law, girlfriend, and treat yourself, too! 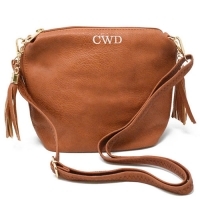 BONUS: Many of our Charleston Bags come with a bonus zip pouch or wristlet. 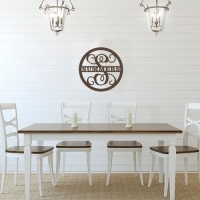 Home Goods with a Personalized Touch. 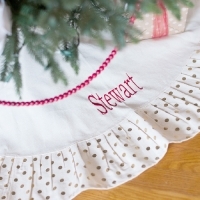 From Christmas tree skirts to beautiful wood monogrammed signs, you can’t go wrong with a personalized gift for the home. Home Goods make excellent gifts for neighbors, co-workers, and family-friends, too, so check out our selection of stockings, dishtowels, aprons and more. The added touch of personalization just shows you went the extra mile to make the gift even more special. 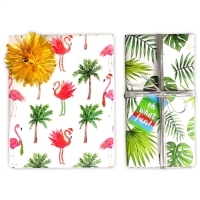 Charleston Wrap’s signature Ultra-Heavy™ and reversible Gift Wrap. First of all, let’s just set the record straight – If you’re a gift wrap snob you’re going to want to stock up, especially because you’re going to have a lot gifts to wrap after browsing our website. Our gift wrap is Ultra-Heavy™ (yes, our paper has a trademark – it’s that good) and our standard gift wrap rolls are always reversible so you get two stellar designs for the price of one – BAM! Most reversible designs can be used year-round too, which adds even more value to just one roll. With hundreds of colorful and trendy designs to choose from we can bet you’re going to have fun picking out your favorites. Oh, and if you’re looking for “all the fixin’s” you need to grab the Essential Pack. For $39, you’ll get a whopping 6 rolls of wrap, ribbons, tags, tissue and gift bags – all valued over $100 for just $39, so stock up! 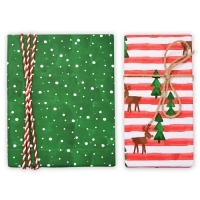 Did we mention we offer personalized gift wrap? Yep, that’s right – personalized gift wrap – and actually, personalized gift tags too (we’re snazzy like that). If you like being a trend-setter you’ll definitely want to add these items to your cart. Whether you create a design for yourself or someone special, it’s going to be a one-of-a-kind gift, that’s for sure. Be sure to support your school this Fall and check off your holiday gift list with Charleston Wrap®. Visit our Online Store and start shopping today. Happy browsing, y’all!